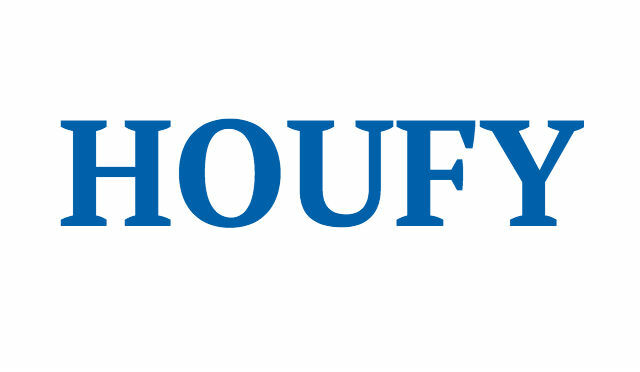 To follow Felicity Ausden, please log in to Houfy or create an account. A home from home experience in a beautiful North Cotswold village. Sleeps 4. No taxes or extra fees. Sansome House Cottage, Ilmington is a home from home in one of the loveliest and oldest (mentioned in the Domesday Book) villages of the North Cotswolds. Away from the madding crowds, yet within easy reach of the high spots such as Stratford upon Avon, Oxford and nearby Chipping Campden. The cottage sleeps 4 people and has two bathrooms, a well equipped kitchen and a small private garden. Wifi access and off road parking. The Ilmington Downs feature the highest point in Warwickshire. Nestling at the base of these rolling hills, on the borders of Warwickshire and Gloucestershire and in the Area of Outstanding Natural Beauty (AONB) known as The Cotswolds, is the charming village of Ilmington, home to some 700+ inhabitants. The village is a rambling one with paths and roads leading off in all directions and the Norman church of St Mary the Virgin can only be approached by one of these delightful footpaths. With an excellent village community run shop and cafe, and the presence of two characterful dining pubs, our cottage in Ilmington offers a kick off your shoes, sit back and relax sort of holiday and you need never actually venture out of the village! However, we strongly recommend that you do! The theatre at Stratford upon Avon and the other delights of the town are only 7 miles away and a plethora of wonderful Cotswold towns and villages such as Chipping Campden, Stow on the Wold, Moreton in Marsh and Broadway await your exploration. Hidcote Gardens are only 3 miles away and could be taken in on one of the wonderful circular walks possible from the cottage. I have a large file of walks in the area, laminated so that you can take them out with you. There are a number of local cycle hire places in the area and they will deliver to the cottage. We keep maps and cycle route plans as well as a guides, leaflets and copious amounts of information on attractions in the area. The bed is a King bed frame made up as Austrian Twins - i.e. two mattresses tucked closely together with separate sheets and duvets. It is therefore suitable for two close friends as well as couples. The mattresses have been declared very comfortable by past guests. The duvets are 90% down and the bedding 100% cotton with feather and down pillows. There is a large chest of drawers, a small TV and a two person sofa in the room. Good light for reading provided by bedside reading lamps. Off the master bedroom, this provides hanging space and another chest of drawers. There is a handbasin. A room which is flooded with light in the morning. Good sized single beds. There is a hanging cupboard, chairs and a chest of drawers with good bedside lighting. The bathroom lies between the two bedrooms, off the upstairs landing. The bath is full sized and has hand grips. There is no shower attachment. Downstairs and off the entrance hall. A welcoming entrance hall with a small dining table for those who want more formal dining than that of the kitchen. Not big enough to be called a drawing room but furnished in small country house style - a good sized sitting room with sofas and a chair grouped around an open log fireplace. There is a 40" digital TV showing all the the free to air channels (not Sky), a blue tooth sound system and lots of board games and a very large number and variety of books to borrow. Also jigsaws (the table in the hall is good for this). There are maps of the area (for walking, driving or cycling), local guides and a huge amount of information on the area provided. A large country style kitchen which gets all the morning sun. Patio doors lead to a completely enclosed a private, small garden. The kitchen is very well equipped and makes a good family eating space. Cooks will find herbs in the garden, sharp knives and plenty of equipment - a processor, hand mixer and smoothie maker. Coffee lovers can choose from Nespresso coffee (generic capsules sold locally), filter coffee or jug coffee. There is a dishwasher and a washing machine. The garden is equipped with table and chairs and other chairs for sitting in the sun. It is a pretty dining space with flowers and trees and a small lawn. This is the garage attached to the cottage which is occupied by a table tennis table. It is unheated so probably only used by our summer visitors. Also in there (to be taken outside!) is a BBQ and all the extra garden chairs. There is an extra fridge freezer which those who are staying longer than a week might like to make use of. The tumble drier lives in the garage too. Reviews. Reviews here are mostly from VRBO guests. I continue to advertise there but my rates are higher because of their charges to me and they charge a service fee to the guest. You get a book with confidence guarantee there if you are not comfortable dealing direct with me here. I also advertise on TripAdvisor where I have 49 reviews, all 5 star. We meet you at the cottage (which is in the grounds of our house) to show you around and give you the keys. We ask that you give us an accurate arrival time on the day. Not suitable for babies and toddlers but all well behaved children of five and over (the cottage is unsuited to children under five) are very welcome. There are plenty of interesting things to see and do in the area for all ages and there is a good playground in Ilmington for the under 10's (or whatever age they stop swinging on swings!) .We have some board games, jigsaws and DVDs for children. Parking is right outside your door in our enclosed private courtyard. We leave you starter supplies of all the basics and we hope that you will replace some that you use. Dry goods in the kitchen include salt, pepper, tea, sugar, coffee, herbs, flour etc. In addition things like kitchen foil, cling film, loo paper, wash up liquid, dishwasher tablets, washing powder, oil, shower gel and liquid soap, kitchen essentials and so on. We leave afternoon tea ready for your arrival with homemade bread, jam and biscuits. There is a wooden table and chairs for outdoor eating in the small, completely private enclosed garden. Also a large parasol for the rare days you are getting too much sun! A portable charcoal burning BBQ is stored in the garage as well as a table tennis table. Drip filter coffee machine, French press jug, Nespresso capsule machine and a bialetti type hob top expresso jug. Food processor and smoothie maker. Very well equipped with cooking implements and saucepans etc. I am married with four children who currently live in Bordeaux, Edinburgh, London and Tokyo. My husband (who is a semi-retired lawyer) and I manage this cottage and look after our guests and we have been doing this since 2006 more or less full time, with most of our guests coming from America (because of being on American websites), Canada, Australia and a smattering from Europe. We have a lot of return visitors and last summer we welcomed some Texan guests for the eighth time! I am Irish and have retained my late mother's last home in Dublin which I also let out to holidaymakers for part of the year. It sleeps two and can be found on this website also. It is preferred that the lead guest is 25 or over but this is subject to discussion. 25% deposit secures the booking. A booking form must be completed. This can be found on my website on this page, www.sansomecottage.co.uk/rates together with the terms and conditions. It can be submitted online. The balance is payable 90 days in advance of arrival. The deposit is non-refundable except in exceptional circumstances. You are advised to take out cancellation insurance. In the event of cancellation, the balance is refundable in whole or in part, only if I manage to relet the space. I am also happy to receive overseas bank to bank or currency transfers. I will consider other suggested methods of payment to keep unnecessary costs to a minimum. I do not charge a damage deposit, preferring to trust you to let me know of any damage and offer recompense. Whilst we do not expect a 'spring clean' you are expected to leave the cottage in a clean tidy condition. If you feel you can not manage this then you can request to employ a cleaner which can be arranged through us (£50 for a final clean). I can now take payments by credit card but if you prefer another way, I am open to suggestions (but no Cashier's cheques please). Except in exceptional cases, the deposit, payable on booking, is not refundable. The balance payment is refundable (less transfer costs if there are any) if the period cancelled is more than 90 days away. If cancellation is within the 90 day period a portion or all of this may be refundable if the period can be relet . We do not charge for any hidden extras after you have paid for the holiday. Linen, towels, heating, utilities, wifi and parking are all included. We don't charge a cleaning fee or a security deposit, preferring to trust people to leave the place clean and tidy and let us know of any disasters and offer compensation if appropriate. A basket of logs is provided to start you off. I am sorry but we ban all smokers. We tried just limiting it to outside but it didn't work so we now say no to anyone who can't be parted from their cigarettes as it is unfair to following guests. No children under five years old, as the cottage is unsuitable for small children. For those subject to hair/dander allergies we guarantee no animals have been in the cottage so no pets allowed. Ilmington is not best placed for public transport and you are advised to have a car in order to get full value from the area. There are railway stations 7 and 8 miles distant at Stratford upon Avon and Moreton in Marsh and you can get taxis from there to Ilmington. The cottage is 45 mins drive from Birmingham airport and an hour and half from London Heathrow. Detailed directions are given on booking.